A selection of part-songs by Elgar, Morten Lauridsen and Sullivan. Tickets £11 (free for Children 8 – 18 ) are available from choir members, at the door or in advance either from the SLS Box Office (020 8656 2815) or from TC’s coffee shop at Beckenham Methodist Church, Monday – Friday 10.30am – 2.30pm. 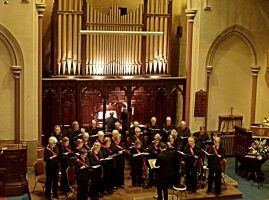 THE SOUTH LONDON SINGERS formed as a chamber choir in 1982. There are currently some 25 to 30 members (always room for more, if you enjoy singing and have a good voice), and the SLS is now firmly established on the local music scene in the Beckenham area. The founding conductor of the South London Singers was Derek Williams. John Nightingale took over as Director in 1988 and stayed in this post for the next 25 years. Under his baton, the SLS continued to raise its musical standards and set new musical goals for itself. John helped to develop the choir’s focus on the neglected portions of the English choral repertoire. With its current Director Julian Collings, who took up his appointment in May 2013, the choir seeks to maintain its level of musical attainment as it explores new musical avenues and develops the skills needed to meet new challenges. The SLS tackles a wide-ranging repertoire encompassing sacred and secular music by composers of all periods from the 15th century to the present. It concentrates on works that are either unaccompanied or performed with an organ or small instrumental ensemble. English music is a strong element in our programming, but works by a wide cross-section of continental and non-European composers are also performed. The choir has given well-received performances of baroque works, romantic partsongs, and American music. Programmes are designed to complement, rather than compete with, the activities of larger choral societies. As described by the New York Concert Review as ‘Stupendous…totally original and engaging’, British harpist Keziah Thomas enjoys a reputation of a lively and engaging concert artist. She has appeared as a soloist in major venues and festivals throughout the world, including a tour of Japan for Aoyama Harps, performances at the 8th, 9th and 10th World Harp Congresses in Geneva, Dublin and Amsterdam and a solo debut at Carnegie Hall in New York in 2010. 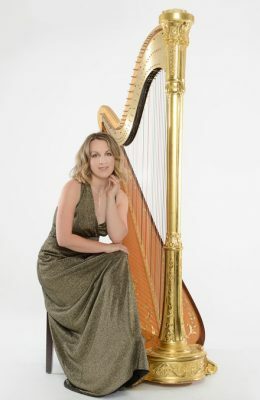 Keziah was the winner of the 2003 London Harp Competition, the 2008 Camac Harp Competition and the 2011 Contemporary Record Society Performing Artists Competition. Her most recent album ‘Crossing Waves’ which features commissioned and previously unrecorded contemporary works was released on the Discovery Music and Vision label in 2014 and attracted a 4 star review in the BBC Music Magazine for an ‘imaginatively programmed, winningly played recital’. Born in London, Keziah Thomas began studying the harp at the age of ten and earned an ARCM performance diploma and solo debuts at the Royal Albert Hall and the Wigmore Hall whilst still at school. Keziah gained a Bachelor’s degree from the Royal College of Music in London where she studied with Daphne Boden and was awarded the Douglas Whittaker, Jack Morrison and Marie Goossens Harp Prizes. An active chamber musician, Keziah performs with flautist Katherine Bicknell as the Aoyama Duo and is also a member of the critically acclaimed harp quartet 4 Girls 4 Harps who recently celebrated their 15th anniversary and have recorded several albums. She is a musician in residence for Breathe Arts Health Research giving regular performances for patients and staff in hospital settings. Peter Jaekel studied at the Royal Academy of Music. For seven years he was chapel organist at Bradfield College. In 2007 he was appointed accompanist to Crouch End Festival Chorus and he regularly deputises for the London Symphony Chorus and London Philharmonic Choir. He has worked with some of the world’s finest conductors including Sir Colin Davis, Valery Gergiev, Vladimir Jurowski, Michael Tilson Thomas and Edward Gardner. He has held appointments as organist at Tiffin School and St Paul’s Knightsbridge. Away from classical music Peter has performed as pianist with the Ben Sanders Scottish Country Dance Band throughout Britain and abroad. Peter is in huge demand as a piano accompanist, (most recently collaborating with the cellist Julian Lloyd Webber and the saxophonist John Harle) and as a vocal coach for contemporary music. His repertoire includes operas by Jonathan Dove, Stephen McNeff and Tansy Davies. He has been principal repetiteur for Eastern Opera and has worked for European Chamber Opera. 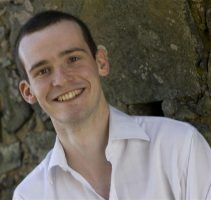 He has given performances of Janacek’s Glagolitic Mass and Arvo Part’s Credo with Crouch End, Handel Organ Concerti and Saint-Saens’ Organ Symphony, and has appeared at the Swaledale, Ryedale, Brighton and Deal festivals. Recently he has performed the piano part in Gershwin’s Porgy and Bess with Crouch End at the Barbican and he has just returned from a tour to Italy. After graduation Julian held a number of posts including deputy organist at St. George’s Church, Beckenham, and is currently Director of Music at St. Cyprian’s Church, Clarence Gate. 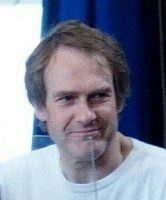 In addition to his church work, Julian is Musical Director of the Barnes Choir, Epsom Choral Society and the London Chamber Choir Ad Libitum as well as founding Musical Director of the much acclaimed Arcubus Ensemble, a professional vocal group promoting the choral works of living composers. As a recitalist Julian has performed extensively both in the UK and overseas as well as broadcasting for BBC radio. He regularly collaborates with the cellist Rebecca Hepplewhite, giving concerts all over the world. Julian was appointed Director of the SLS in May 2013 from a strong field of applicants and is enjoying a return to the Beckenham music scene.